Unique denim Patchwork clutch bag with leather wristlet. It’s a great little bag to carry a few essentials while going out about the town. The zip top closure to keep everything secure and an exterior zipper pocket is handy to keep your money or cards. The unique patchwork front pocket makes your clutch one of a kind. It’s big enough to keep your phone while the wide flap keep in secure inside. 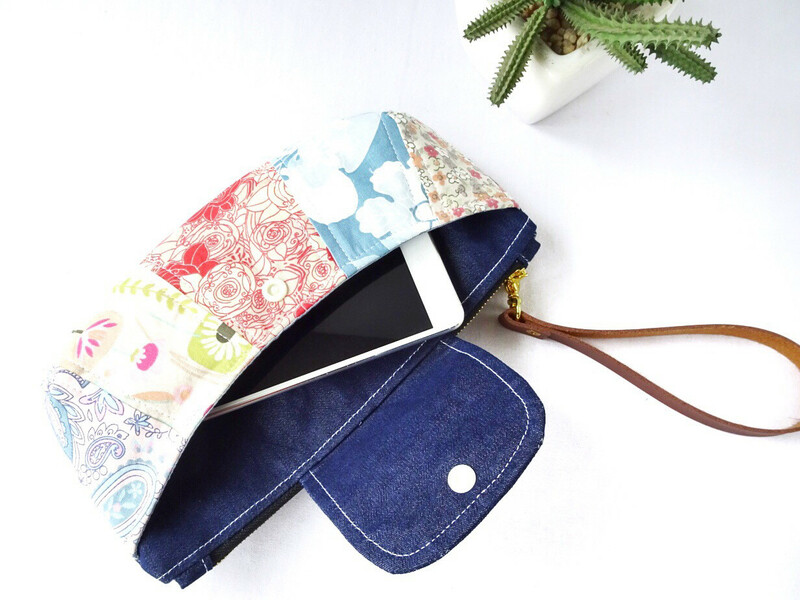 The clutch purse is fully lined with cotton fabric and interfaced for durability.